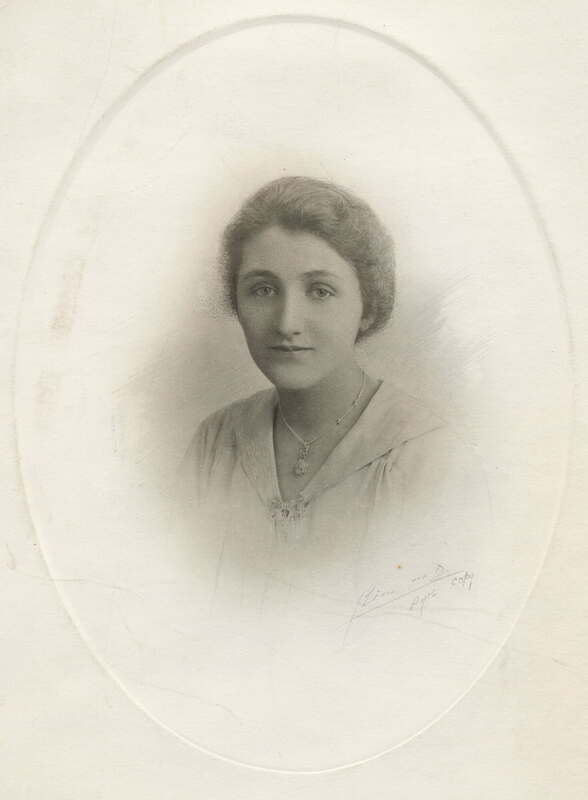 Jessie Ross ORMSBY was born on 21 June 1899 in Brickrow Farm, St. Quivox, Ayrshire, Scotland, the fourth child and daughter born to John ORSMBY and his wife Helen Ramsay MUIR in the first five years of their marriage. I have not been able to determine the source of her middle name ‘Ross’. She was born into the family during a tumultuous time. In 1900 Jessie’s sister Mary [Mary Manson Muir ORMSBY], not yet 4 years old, died of the contagious disease scarlet fever. In April 1901 a nurse lived with the family, to help the young mother Helen cope: with three young children under the age of 6; the aftermath of Mary’s death in 1900; and the impending birth of another child in June 1901. Jessie became a beautiful young woman whose life was cut short tragically by tuberculosis at age 22 after a five month illness. Born June 21st 1899, Died December 11, 1921” in her mother Helen’s handwriting. These photos of Jessie Ross were sent by her mother Helen to Helen’s sister Jean (MUIR) WATSON who lived in Saskatchewan, Canada. Both photographs are from the collection of an Orsmby family descendant who still lives in Ayrshire, Scotland.